Manage cash detailing transactions for financial institutions with lockbox services or invoice financing deals. Switch from a monthly aging monitoring to daily invoice reconciliation process if the deal necessitates closer daily review. 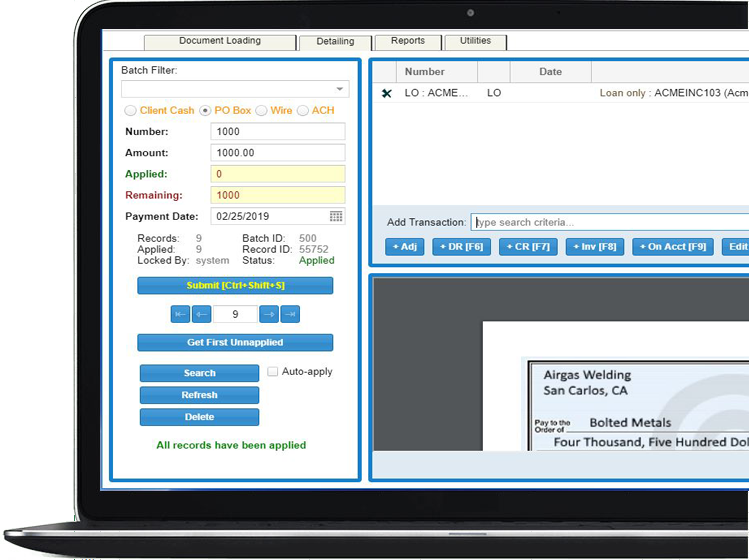 Streamline the labor-intensive process of tagging check and ACH payments against sales invoices. Reduce errors by utilizing the built-in tools to easily import bulk payment images into the system. Provide higher client satisfaction through real-time payment updates and check images to clients.